I used Farmhouse Paint in Cotton White… it’s a nice crisp white. Not too creamy, not too bright. Anyway, I mentioned that I was considering a stencil treatment for the headboard. I’m a little conflicted though, so I thought I would share my final few and let you help me decide. 🙂 Bear in mind this is going into my booth, so while I want it to be unique, it needs to have something of a broad appeal, too. Option 1: French Love Letters Stencil. 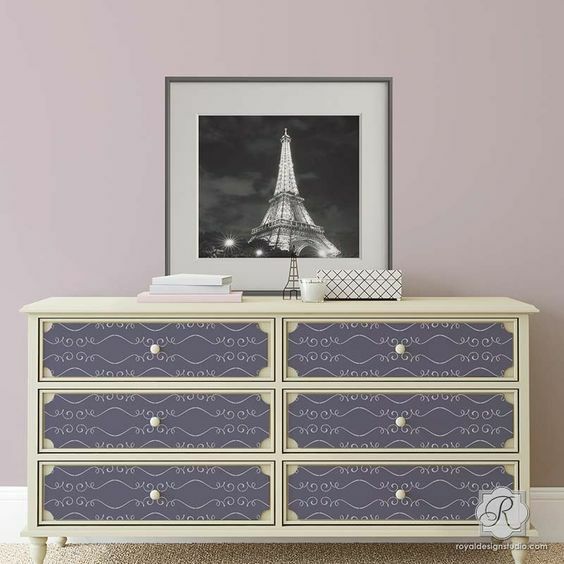 I love the look of this and would stencil this in a soft gray… so I could center the stencil in the headboard (it’s 20 inches wide and 8 inches high) or I could cover the whole headboard and upper panel of the footboard, too. 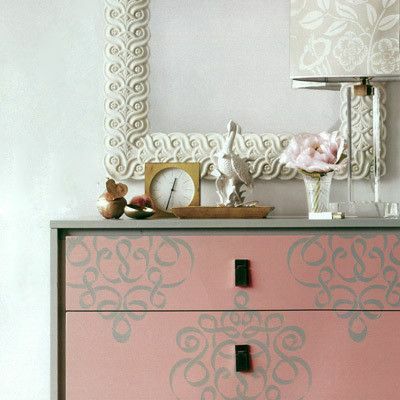 Option 2: Gigi Scroll Modern Stencil. So this is a more contemporary design and I would use gray again (or maybe a metallic silver or gold?). This would be interesting, I think, on such a traditional piece. 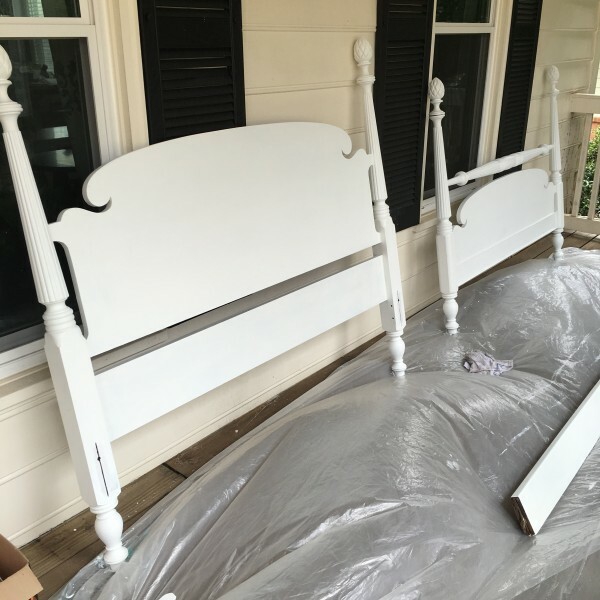 Again, I could center a single stencil or do the whole headboard and footboard. 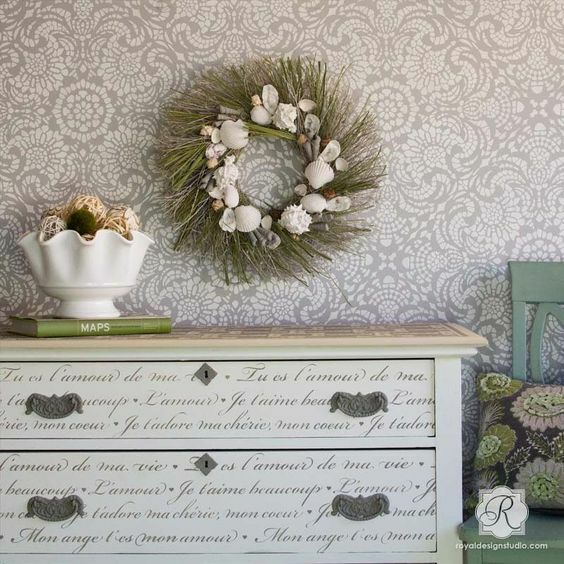 Option 3: Ribbon Damask Stencil. I’ve had my eye on this one for a while… I would do one stencil centered on the headboard. It’s 13 inches wide and 16 inches high. It seems to suit the style of the bed, no? 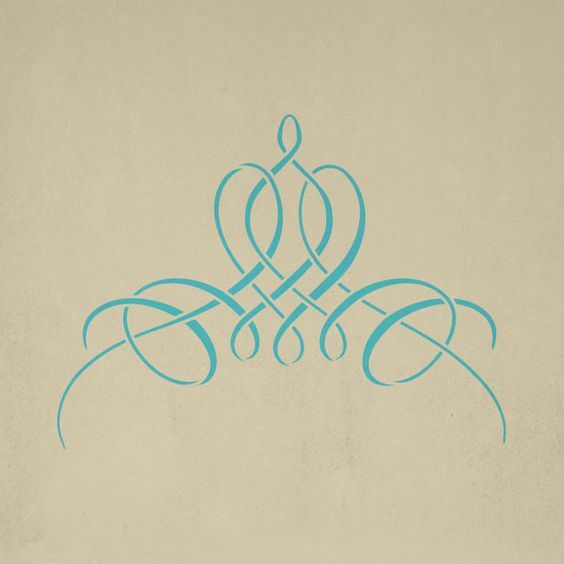 Option 4: French Flourish Stencil. I adore the simplicity of this one, but it’s only 9 inches wide and 7 inches high… too small?? Or just the right amount of embellishment? One on the headboard and one on the footboard? Would the simplicity make the piece more versatile? i love the headboard as is in its fresh white coat! If you MUST stencil…then the ribbon damask. But I love it just white! 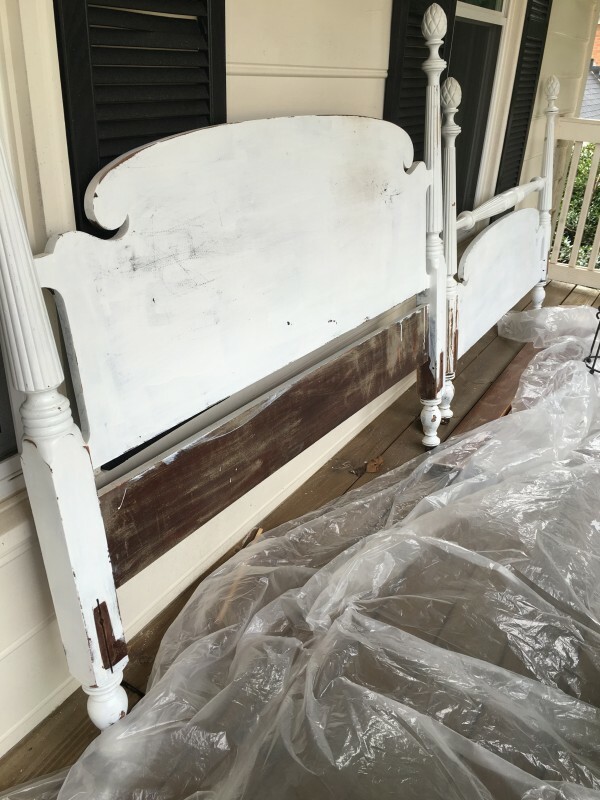 i love the headboard as is in its fresh white coat! Amazing pics. What did you decide on the stencil? I pick letters. Sign up to receive email updates and to hear what's going on with Decor & More!